2015 is set to be busy for Paul Weller. 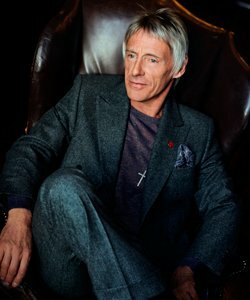 As well as launching his book, INTO TOMORROW, Weller announced that his new album, entitled Saturn's Pattern, will be released this spring. Left: Paul Weller at 33 Portland Place, London, 2014 © Lawrence Watson, taken from INTO TOMORROW.